An actuarial consultancy has come up with an alternative to traditional pension plans that could well save retirement for Americans stuck in underfunded pensions. In an Adjustable Pension Plan like the one designed for the Times, there are no individual account balances. Gene Kalwarski and his staff had been waiting for the better part of two years for the IRS to act. 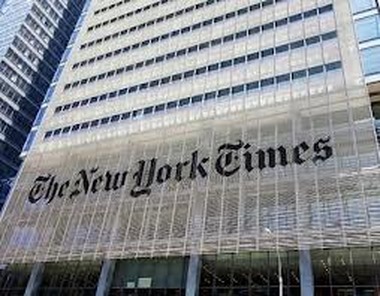 Last week, the agency finally approved the Adjustable Pension Plan his firm had co-designed for the New York Times and its employees in the Newspaper Guild. The IRS signoff came at the 11th hour; a July deadline was fast-approaching. Cheiron is certainly counting on it. That the IRS took so long to consider those implications suggests the true distinction between APP plans and traditional, hybrid pension plans. Too often, plan sponsors regard each to be one and the same. In an APP like the one Cheiron helped design for the Times, there are no individual account balances. That is the core distinction between APPs and most hybrid benefit plans. But APPs are distinct from traditional defined benefit plans in another important way. The risk in an APP is balanced between the employer and plan participants in a way that doesn’t exist in traditional defined benefit plans. Also, APPs are built with an “adjustable” component designed to help ensure a plan meets its obligations. Ongoing reviews of the performance of the pooled investment in an APP — typically done annually — determine how much more or less the sponsor and the employees have to contribute to maintain the health of the plan. While APPs are new to the scene, regular hybrid plans have been around for some time. In fact, they’ve become substantially more prevalent since 2000, according to the Pension Benefit Guarantee Corp. In 2001, hybrids represented 3.7 percent of the total defined benefit plans insured by the PBGC. By 2010, they represented 13.9 percent. Cheiron has designed APPs for other plan sponsors, tapping the expertise of David Blitzstein, special assistant for multiemployer funds at the United Food and Commercial Workers International Union, Skip Halpern of Gallagher Fiduciary Advisors LLC, and Barry Slevin, president of the legal firm Slevin & Hart. In developing its alternative pension business, Cheiron could well help bridge the gap between the individual responsibilities of self-directed defined contribution plans and the often-debilitating risks of traditional defined benefit plans. Narrowing that gap is seen as vital to the nation’s retirement prospects going forward. There’s no shortage of opportunity. According to the Government Accountability Office, the Pension Benefit Guarantee Corp.’s deficit came to $34 billion in fiscal 2012, up from $23 billion in 2008. Worse, financially weak businesses and underfunded pension plans pose a risk of $295 billion in liabilities. The $80 billion or so in assets held by the PBGC at the moment would barely begin to cover those losses. Rick Hudson, a principal actuary at Cheiron who helped design the APP for the New York Times, thinks there should be a middle ground between employees assuming all of the risk for their retirement funding and sponsors suffocating under the burden of funding defined benefit plans. “The risk-sharing structure of the APP gives employers that take interest in their employees’ retirement income security a way to stop short of delegating retirement funding responsibility to their employees — many of whom are ill-equipped for the task,” said Hudson. So, are APPs the wave of the future? Those in favor of saving defined benefit plans without having to sink their company sponsors no doubt hope so.